13th Annual Grateful Hearts – a fundraiser for our local first responders. Funds generated from this networking event help provide essential items for firefighters and officers which are not covered by City budgets. We invite you to get to know and bond with your local business neighbors. 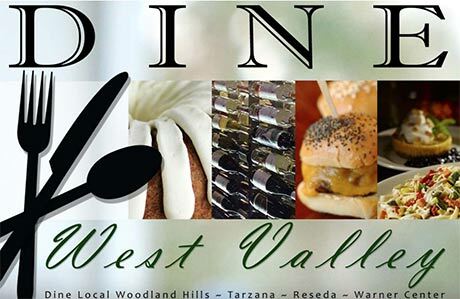 Come network, mix, mingle and enjoy fabulous food and drink from local West Valley restaurants, including tasty BBQ treats prepared by our local fire department. 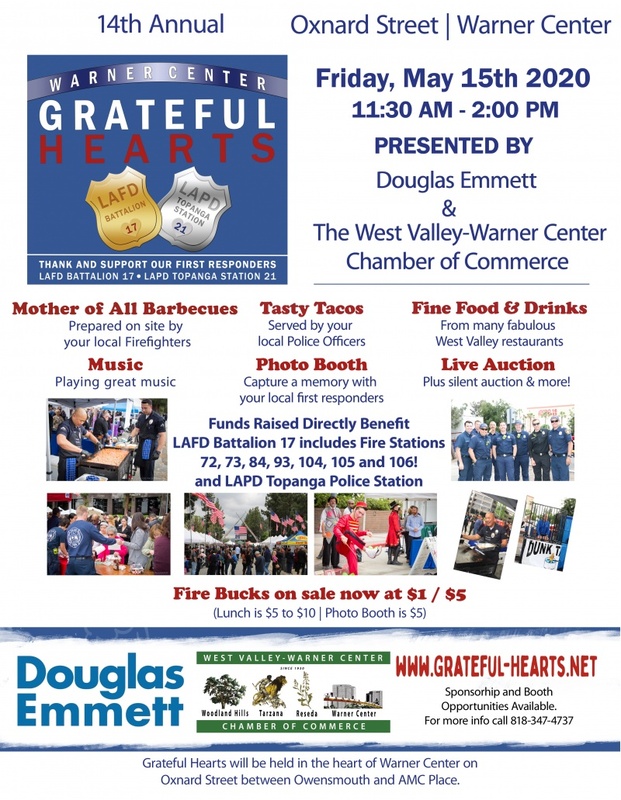 Grateful Hearts will be held in the heart of Warner Center on Oxnard Street between Owensmouth Avenue and Topanga Canyon Avenue on Friday from 11:30 a.m. until 2:00 p.m. – during peak lunch hours, allowing the extended community, you and your employees to participate in the networking fundraiser. We look forward to your participation in Grateful Hearts – Supporting our heroes by raising funds for our local first responders. Net proceeds will directly benefit the seven West Valley Fire Stations in Battalion #17 -- Stations 72, 73, 84, 93,104,105 and 106 and LAPD’s Topanga Station. Make donations in any amount. List with amount on site is provided. Be Present without being present~ Donate to the Grateful Hearts Silent Auction! Additional Special Thanks to all of our volunteers! !